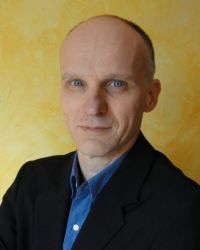 Prof. Luc Avérous is a Group (BioTeam) Leader at ICPEES (Joint Unit CNRS/University of Strasbourg: UMR CNRS 7515) and former Lab Director. 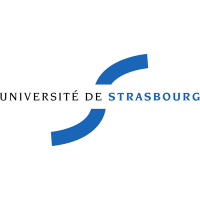 In 2003, he became a Full Professor at University of Strasbourg, where he teaches bio-polymer science, bio-materials, composites, plastic processing and polymers characterisation. During the last two decades, his major research projects have dealt with bio-based and/or bio-degradable polymers for environmental and bio-medical applications. As a leading international expert in these fields, he has developed strong collaborations with foreign labs (Australia, Brazil, Canada, and Spain) and major companies. He is regularly invited to co-organise conferences, to chair symposia, and to give plenary or keynote lectures overseas. For instance, in 2011, he was the main organiser of two major international conferences in Strasbourg: BIOPOL and WoodChem 2011. He has co-edited three books (Wiley, Elsevier & Springer) and is a member of ten Editorial Boards and Guest Editor of different scientific journal issues. He has published hundreds of scientific communications (articles, chapters, patents and proceeding papers) with around 5,000 citations. Dr. Vincent Phalip is Associate Professor at the Superior School for Biotechnology (ESBS, University of Strasbourg, France). 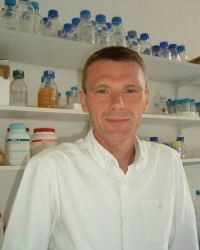 After his PhD in microbiology and enzymology in 1995 at the University of Burgundy (Dijon, France), he was recruited at the ESBS in 1995 for lectures and practical courses in protein science: protein production, purification and enzymology. Since, he was implicated in several research projects dealing with microorganisms: metabolism, bio-production, bio-mass valorisation. Several projects were transferred to industry. His main research focus was the study of cell wall degrading enzymes acting on polysaccharides: production, characterisation, synergy between them, structure-function relationship, and engineering. He developed collaboration with laboratories in France, UK, Switzerland and Slovenia. He is an author of international publications, book chapters, and is regularly involved in paper reviewing. He was working for P4SB until October 2016. 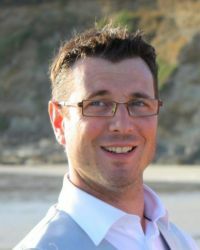 Dr. Eric Pollet is Associate Professor at ECPM-University of Strasbourg (France) and member of the BioTeam-ICPEES (Joint Unit CNRS/University of Strasbourg: UMR CNRS 7515) since 2004. During the last ten years, his major research projects have dealt with different biodegradable polymers. He has been particularly involved in the synthesis and the physico-chemical properties of various bio-polymers (e.g., starch, chitosan, PLA, PHA, PCL) and biopolymers/nanoclays systems. He has managed different projects in this field and contributed to several international papers and books chapters. He is referee for many scientific journals and also teaches polymer science and polymer chemistry.